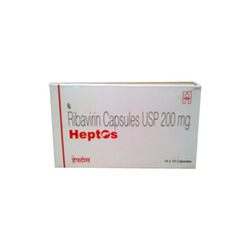 we are leading suppliers & exporters of Ribavirin Medicinesin China, Russia, Hongkong, Bulgaria, Romania, India. We offer wide range of Heptos Capsule. Manufactured by: Mepro Pharmaceuticals Pvt. Ltd. (Unit-II) Q Road, Phase IV, GIDC, Wadhwan City - 363 035 Dist. : Surendranagar, Gujrat, India. Markted by: Hetero Healthcare Ltd.
Heptos is a prescription drug and should be used under proper medical guidance and advice.The information provided here is for general educational purposes only and does not constitute medical or pharmaceutical advice which should be sought from qualified medical and pharmaceutical advisers. We are provider of Ribamune Capsules. Ribamune is a prescription drug and should be used under proper medical guidance and advice. The information provided here is for general educational purposes only and does not constitute medical or pharmaceutical advice which should be sought from qualified medical and pharmaceutical advisers. 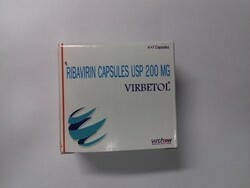 We offer wide range of Ribahep Capsule. 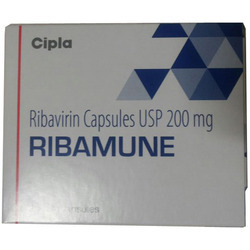 Ribahep is a prescription drug and should be used under proper medical guidance and advice.The information provided here is for general educational purposes only and does not constitute medical or pharmaceutical advice which should be sought from qualified medical and pharmaceutical advisers. 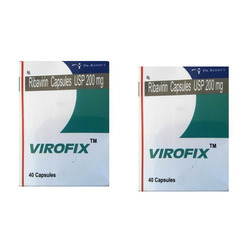 We offer wide range of Virofix Ribavirin Capsules. Virofix is a prescription drug and should be used under proper medical guidance and advice.The information provided here is for general educational purposes only and does not constitute medical or pharmaceutical advice which should be sought from qualified medical and pharmaceutical advisers. 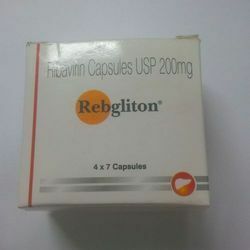 Rebgliton is a prescription drug and should be used under proper medical guidance and advice. Do not share the medicine with others, since they may be suffering from a problem that is not effectively treated by this drug. Virbetol is a prescription drug and should be used under proper medical guidance and advice. Do not share the medicine with others, since they may be suffering from a problem that is not effectively treated by this drug. Keep all medicines out of the reach of children and away from pets, never share your medicines with others, and use this medication only for the indication prescribed.